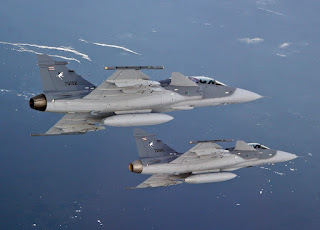 BANGKOK, -- Thailand might probably buy four more Swedish jet fighters to add to a current squadron of 12 fighters of the same type, said Deputy Prime Minister Prajin Juntong on Thursday. 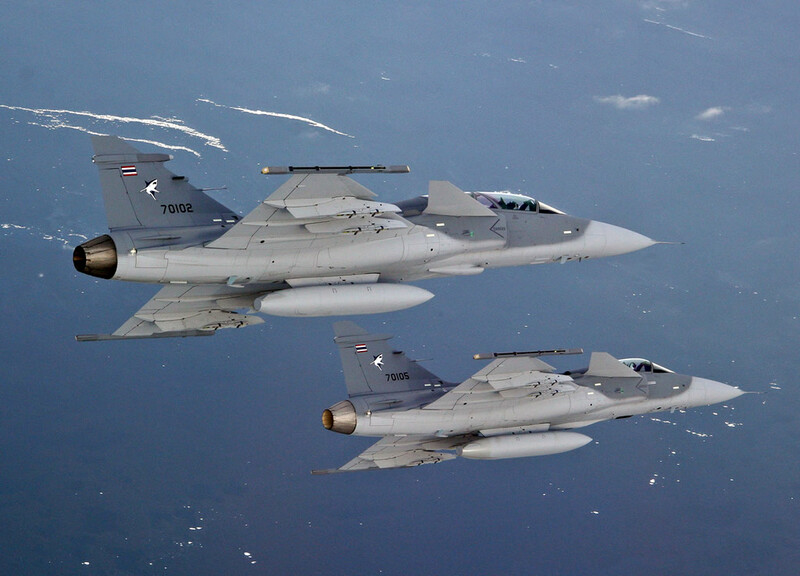 Prajin, a former Thai air force chief, said that he viewed Saab JAS 39 Gripen multirole combat aircraft as "technologically advanced" and suggested that his successor buy an additional four Swedish jet fighters. The Thai air force currently deploys the 12 Swedish fighters at Air Wing 7 in the southern province of Surat Thani. The Gripen fighter squadron was procured in 2008 to replace the United States' ageing F-5 Tiger fighters. "One fighter squadron should not just consist of a dozen aircraft and four more should be added to it," said the deputy prime minister. One JAS 39 Gripen fighter is currently estimated to cost 69 million U.S. dollars. Prajin made his comments following a visit of Swedish ambassador Staffan Herrstrom to Government House during which they held talks about the Gripen fighters, Swedish digital technology and bilateral trade, among other topics. The Royal Thai Air Force Saab JAS 39 Gripen light single-engine multirole fighter aircraft.